After all our years together, I have just come to realize how much I've neglected you. Apart from shaving you and caressing you with a variety of deodorants to keep you smelling nice, I mostly try not to even think of you. You, dear armpit, house my sweat glands and can potentially tell people when I'm nervous and ruin a date or a meeting! But today, on Valentine's Day, I think it's best I apologize and we start our relationship over. 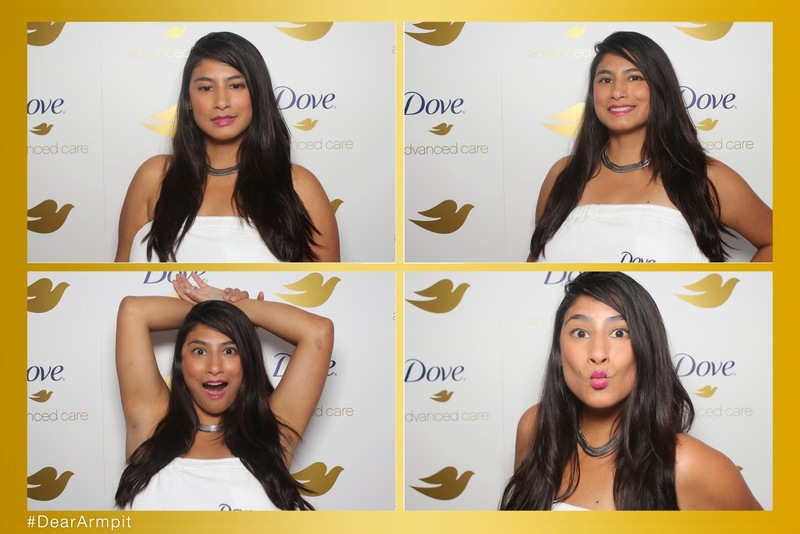 Armpits have had a bad rep and it's time we join Dove in the revolution to change this! Trust me, when I was invited to attend this #deararmpit event in Miami yesterday, I didn't even want to Tweet the word. How gross and smelly right?! Who wants to talk about their armpits? Without even realizing it, women are damaging their underarms when shaving. In fact, only 64% of what is removed when shaving is hair, 36% is actually skin, and as a result of shaving, skin loses 50% more moisture, which can lead to dryness and sensitivity. I was not compensated to attend this event, in fact, I was not even asked to write this blog post. But I feel like it's important we discuss topics that may make us uncomfortable. Your armpits need some attention and I want to help you take care of them properly. Dove has trademarked a simple 3 step process called the Piticure, which I tried out yesterday. You will feel silly at first, I did, but you will feel and smell so great afterward you will look forward to adding it to your beauty routine. Will you show renewed love for your armpits?